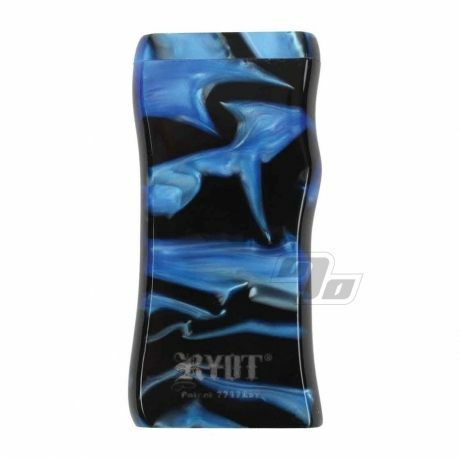 This RYOT Dugout smoking system starts with a unique, Blue and Black marbled acrylic body and finishes strong with a dual-purpose magnetic twist top lid. This not only keeps the lid closed but also secures a handy steel poker in the bottom of the dugout. Same size as your standard dugout, each consists of a box, a poker, and a Free cigarette style One Hitter Bat. With the dugout itself you have two compartments; one holds the one hitter bat, the other is used to store your herbal material. The poker and lid is held in place by the internal magnet. Easy to clean due to the non-porous material. Overall, a precision machined and beautifully finished dugout. You really can't go wrong with the RYOT Dugout line. To use, twist open the lid of the MPB, remove the cigarette, push the cigarette into the storage compartment and give it a twist. This will fill the end of the cigarette with enough smoking material for one hit. When finished, simply use the included poker to clear the ash, replace the cigarette and poker, and close it up. 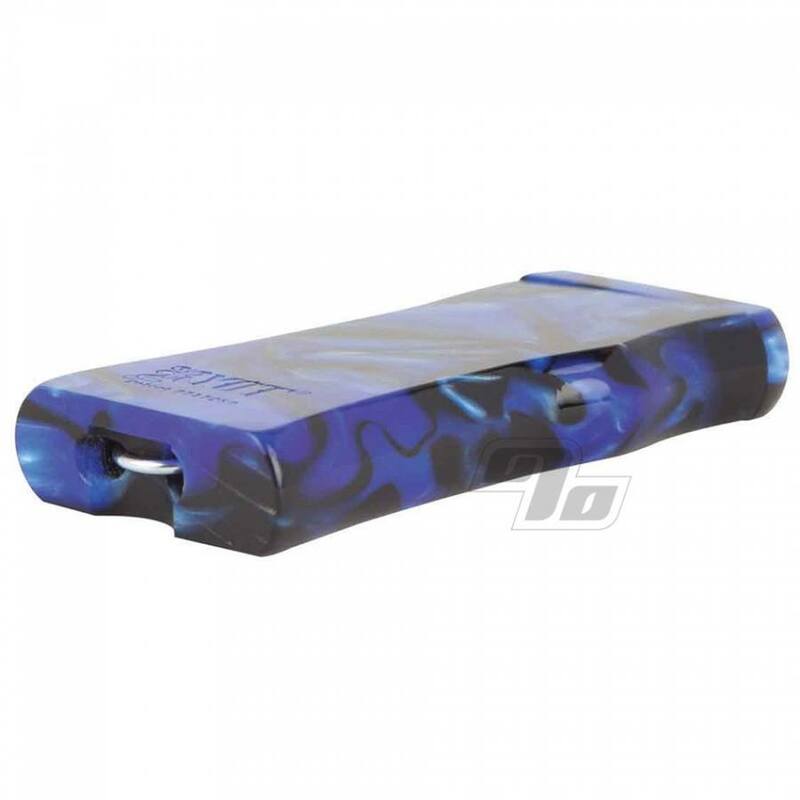 Dugout systems with one hitters are ideal for when you are trying to quit cigarettes and want to reduce your intake of Tobacco. Also works greats with all kinds of legal herbs.